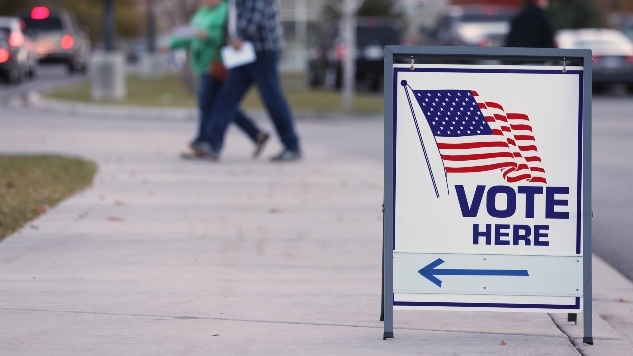 What Can The Exit Polls Tell Us About Who Actually Voted in the Midterm Elections? Exit polls give us information about who voted in the 2018 midterm elections, although the Census Bureau’s report released next year should be more telling. Exit polls are surveys conducted on Election Day outside of polling places across the nation. The polls also include telephone surveys to hear from the tens of millions of people who either voted by absentee ballots or voted early. The chief purpose of the exit poll is to provide TV networks and the AP with the facts and figures necessary to project winners shortly after the polls close. But during the survey, voters are also asked to disclose basic demographic details like gender, age and ethnicity. On top of that, respondents are asked about contentious issues, and their personal viewpoints and behaviors. However, like all surveys, exit polls only deliver a snapshot of the electorate—and these samples can be mistaken. Also, exit polls cannot accurately determine the composition of the electorate or turnout rates for distinct demographics. That being said, Edison Research, the standard exit poll (used by ABC, CBS, CNN and NBC, but not by Fox News or the AP this year), estimates that 113 million votes were cast in these midterms, or a turnout of 49 percent. That’s a giant increase from the 2014 midterms, in which just 36.7 percent of eligible voters took to the polls. If early results are correct, the 2018 midterms will mark the most voter engagement since 1964. So far, Democrats account for 38 percent of voters in the exit polls, Republicans for 32 percent and independents for 30 percent. In 2014, those numbers were 36-37-27, respectively. Liberal-moderate-conservative turnout so far breaks down to 27-38-36 percent, compared with 22-39-38 percent in the 2014 midterms, according to ABC. The majority of voters in the exit polls said that their ballot in the midterm election was influenced by President Donald Trump, reports CBS. 44 percent of voters approve of Trump’s job performance, while 55 percent disapprove. Four in 10 respondents said their vote for members of Congress was meant to oppose Trump, while about a quarter of voters cast ballots to support the president, according to CNN. Only one-third of voters said Trump wasn’t a factor in their decision-making. Women accounted for 52 percent of voters, matching their previous record in the 2010 midterm election, as reported by ABC. Men shared their House votes balanced between Democratic and Republican candidates, 48 to 50 percent, whereas women backed Democrats, 60 to 39 percent. White college-educated voters, once the core of the GOP, continued to support Democratic candidates. For the House, Democrats won white voters with a college degree by about eight percent, according to the exit poll conducted for the National Election Pool. Republicans, however, continued to appeal to the non-college-educated white voter, according to Politico. Nonwhite voters turned out in record-breaking numbers. The nonwhite electorate made up 29 percent of voters nationally—surpassing the highest turnout of 25 percent, set in 2014. That number includes 12 percent black and 12 percent Hispanic voters. The previous highs in midterm elections were 13 percent and eight percent, respectively, in 2014, as reported by ABC. Young voters, ages 18-29, turned out in large numbers, too. The youngest eligible age group accounted for 13 percent of voters nationally (compared with 11 percent in 2014). Young voters are casting their ballots 68-31 percent Democratic-Republican. ABC reports that the 2018 midterm election was the first for about 16 percent of voters. The electorate prioritized health care over three other key issues voters were asked about in exit polls. 41 percent of voters picked health care as the most important nationwide issue, compared with 21 percent for the economy, 23 percent immigration and 11 percent gun policy. Democrats appealed to much of the suburbs, including traditionally GOP-supporting areas near Dallas, Houston, Oklahoma City and Richmond, as observed by ABC.